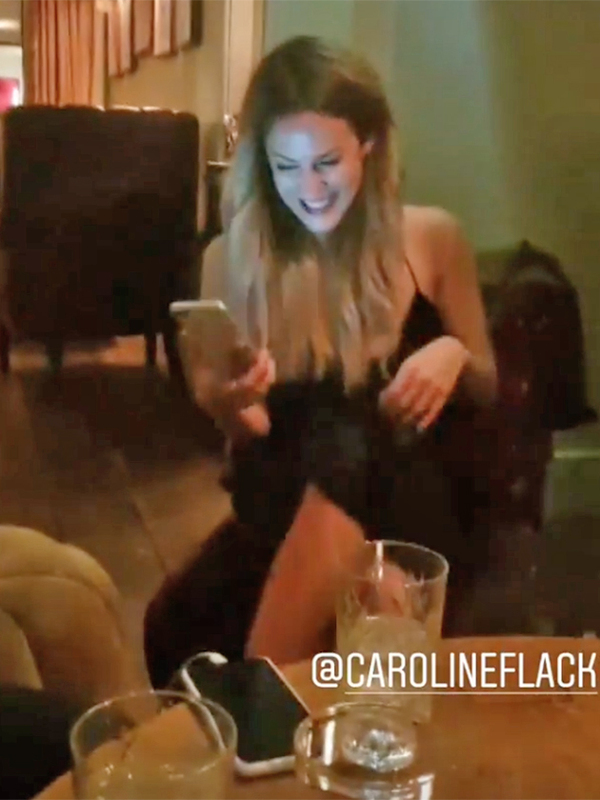 It looks like Caroline Flack is well and truly enjoying her single status as she headed on a girls’ night out with Georgia May Foote yesterday. The Love Island host, 39, looked relaxed while hanging out with her Coronation Street pal in a plush bar as the pair laughed over a table of drinks. Sharing the fun evening with her Instagram followers, 28-year-old Georgia filmed Caroline scrolling through her phone as she nibbled on her fingers. Wearing an LBD for the occasion, the telly star broke out into hysterics as she tried to stop actress Georgia from zooming into her face. Caroline struck up a friendship with Georgia after they appeared on Strictly Come Dancing during consecutive years. This comes after Caroline recently opened up about her former relationships with the likes of Harry Styles, Andrew Brady and AJ Pritchard, admitting she’s the ‘Queen of cougars’. In an open letter in You magazine, she wrote: ‘My current status is not just that I’m a cougar, I’m Queen Cougar, which I guess is something I’m supposed to be ashamed of. Caroline’s relationship status has caused a stir recently when she was linked to personal trainer Bradley Simmonds after they were caught linking arms following a night out. Unfortunately, while we were picking out our hats for this ridiculously good looking couple, it’s now thought they’re ‘just friends’. ‘Caroline and Bradley have never been dating, they’re really good friends, they just talk about everything,’ an insider told Mirror Online. 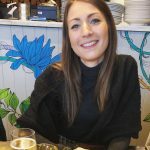 Check out Caroline’s famous dating history HERE.